Allegra X-15R Microplate Application Package, 230 V, is ideal for speedy preparation of your samples in microtiter plates. 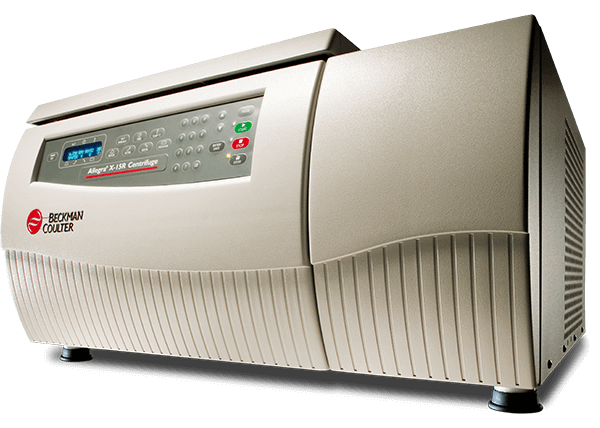 The Microplate package includes the Allegra X-15R refrigerated centrifuge with microplate carrier rotor SX4750µ. Optional Microplate Carrier Covers not included. The microplate application package holds up to 16 standard microplates or 4 deep-well plates. Increase laboratory safety with available BioCertified Microplate Carrier Covers (Part Number 392805, set of 2 - not included). The maximum speed/RCF is 4,450 RPM / 4,060 x g.